A fundraising campaign for Columbia Lighthouse for the Blind. Honor Columbia Lighthouse for the Blind’s (CLB) 115th Anniversary and join the exclusive 115 Club! 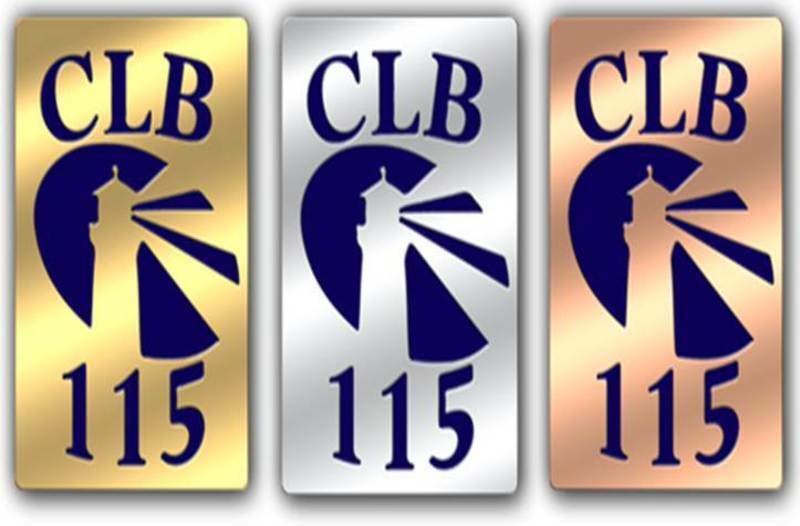 Each member receives an engraved CLB 115 lapel pin representing the level of the donation. Gold - $1,115 | Silver - $515 | Bronze - $115. Show your support of the programs and services that CLB has provided for 115 years to people of all ages with vision loss and help us forge ahead to 115 more years. Columbia Lighthouse for the Blind (CLB) is an engaged, community leader in the Washington metropolitan area serving people of all ages who are experiencing vision loss. Clients of CLB receive service, training and employment resources that support the whole person, at every level of independence and stage of life. Through vision screenings, a mobile eye care unit, independent living skills training, support groups for youth and adults, career counseling and job placement, CLB enables clients to reclaim personal and professional independence by learning to advocate for themselves and address the challenges that arise from vision loss. CLB is a private, nonprofit 501(c)(3) organization. Contributions to CLB are tax-deductible to the extent permitted by law. CLB's tax identification number is 530196609.